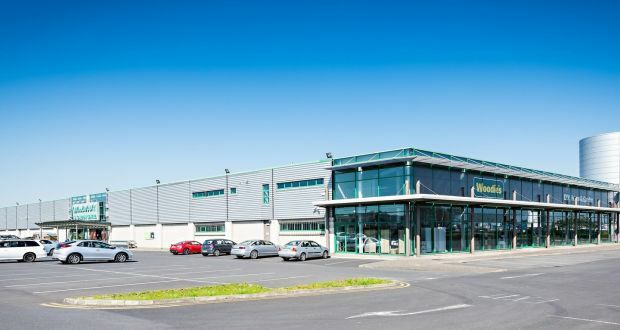 With many leading investment funds on the lookout for prime retail investments offering attractive long-term returns, Savills is expecting considerable Irish and overseas interest in the substantial builders’ merchants and Woodies DIY retail complex at Naas Road, Dublin 12, which goes for sale from Wednesday at a guide price of €26.5 million. Dessie Kilkenny of Savills is handling the sale of the prime, single-let retail facility, which will show an initial yield of 6.95 per cent. Another strong selling point is that it has 12.5 years to run on its lease, which expires in November 2029. The current rent of €1,922,769 is subject to five-yearly upwards-only rent reviews. The lease is guaranteed by the Grafton Group plc, ranked number one in Ireland for DIY retailing, which reported a growth of 13 per cent in its turnover to €2.5 billion in 2016. Kilkenny said he expected that the 12.5 years still to run on the lease and the strong cash flow would appeal to most long-term investors, particularly those searching for higher income returns. The location of Woodies inside the M50 on the Naas Road strengthened its trading position in a market that was recovering fast after a few difficult years. The Woodies building extends to 5,693sq m (61,277sq ft) and stands on a 4.6-acre site with ample surface parking spaces. The site has extensive frontage on to the Naas Road and the Nangor Road, and is close to the M50 interchange, which allows easy access to the various arterial routes. The retail campus is also within 750 metres of the Red Cow Luas stop. The Woodies complex was developed by the Grafton Group and was the subject of a sale and leaseback around 2005. The investment is held in a geared fund originally set up by Goodbody. Davy has also had a management interest in the investment since it took over Prescient Asset Management Holdings, the former AIB Investment Managers business. A high percentage of the retail parks throughout Ireland have been sold in recent years by banks because of overborrowing by the owners and the difficulties of finding tenants for some of the vacant outlets, particularly those in provincial towns. US fund Davidson Kempner holds the record for the highest-value acquisitions, having paid about €170 million for more than 1.1 million sq ft of retail space in Nutgrove Retail Park, Rathfarnham, Dublin 14, Letterkenny Retail Park in Donegal, Sligo Retail Park, Tullamore Retail Park, Co Offaly and Deerpark Shopping Centre, Killarney. In another significant sale, Friends First bought the fast-improving Globe Retail Park in Naas for close to €26 million.